Norman Schweikert was one of the founding members of the IHS and its first Secretary-Treasurer. “Without Norman Schweikert,” stated first IHS President Barry Tuckwell, “there would be no International Horn Society.” Norm was a member of the Chicago Symphony for 26 years and on the faculty of Northwestern University for 25 years. Norm was born in 1937 in Los Angeles. His parents were both amateur musicians (mother a pianist and father a violinist). He started on piano at age 6, then gravitated to the violin in order to play in orchestras. He studied first with his father, then with Joseph Kessler, whom he credits with giving him a good musical foundation. Norm played violin in the Pioneer Orchestra under Joseph Oroop (working his way up to concertmaster) and the California Junior Symphony under Peter Meremblum. He switched to horn and played with the California Junior Symphony until he got his first job at age 18. He credits his experience playing the standard symphonic literature in the youth orchestra with preparing him for his first audition. He studied with Odolindo Perissi (father of Richard) and Sinclair Lott in Los Angeles and with Joseph Eger on scholarship at Aspen. While studying with Lott and still in high school, he played eighth horn in Rite of Spring and Wagner tuba in Bruckner 7th with the Los Angeles Philharmonic. He was also a member of the Horn Club of Los Angeles in its first years. In 1955 Norm auditioned for the Rochester Philharmonic at Music Director Erich Leinsdorf's hotel room in Los Angeles and won the fourth horn position. He remained with the orchestra until 1966, playing fourth horn (1955-59), second horn (1959-61 and December 1964-65), and third horn (1961-January 1962 and 1965-66), with three years out for military service with the US Military Academy Band at West Point (1962-64). He earned a bachelor's degree and Performer's Certificate in 1961 at the Eastman School of Music while playing in the Philharmonic, studying with Morris Secon and Verne Reynolds. Reynolds wrote his Partita for Norm's senior recital, and the two had been close friends until Reynolds’s death in 2011. Norm played second horn to Reynolds for two years. 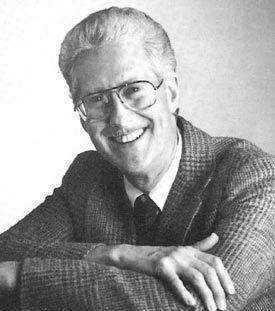 Norm also enjoyed playing in the Eastman Wind Ensemble with Frederick Fennell (1957-61), including taking part in more than a dozen recordings. Norm then spent five years as Instructor of Horn at the Interlochen Arts Academy and a member of the Interlochen Arts Quintet (woodwind). During that time, he also played in the Moravian Music Festival (1966), the Chicago Little Symphony (tours of 1967 and 1968), and the Peninsula Music Festival (1968-70),l and was soloist with the last two. He has been curator of the Leland B. Greenleaf Collection of Musical Instruments housed at Interlochen (1970-71). In June 1971 he joined the Chicago Symphony Orchestra as assistant principal horn, taking part in the orchestra's first European tour at the end of the summer. He moved to second horn in 1975, where he remained until retiring in 1997. He continued to play as a substitute or extra until June of 2006. In 1977 he and Dale Clevenger, Richard Oldberg, and Tom Howell performed and recorded the Schumann Konzertstück in Chicago, then, while on an orchestra tour in June, played the first professional performance of it in Japan with Seiji Ozawa and the New Japan Philharmonic. He taught horn at Northwestern University from 1973 to 1998. In his retirement, Norm continued research into the lives of US orchestra musicians, a project which he started when he was studying at Eastman. His collection of material on this subject was probably the largest private collection anywhere. He answered letters and emails from all over the world. Norm’s contributions to the IHS were considerable. He chaired the IHS organizing committee in 1970 and was the first Secretary-Treasurer, handling most of the organizing work. He wrote the first several newsletters on a typewriter, folding, stuffing, and stamping them. He continued on the Advisory Council for six years (1970-76), and contributed many articles to The Horn Call, notably ten articles in the first two years of publication. He was elected an IHS Honorary Member in 1996.